Inside Out: Can Jail Connect People to Mental Health Treatment? Illinois is taking important steps to reform criminal justice and connect people to needed services. Earlier this month, Governor Bruce Rauner signed the Neighborhood Safety Act which charges the Illinois Criminal Justice Information Authority (ICJIA) with expanding access to trauma recovery services for violent crime victims in under-served communities. The Act is also designed to give judges more discretion to ensure offenders receive the appropriate punishment. Similarly, newly appointed Illinois State’s attorney Kim Foxx announced a plan to release detainees held for non-violent crimes who are unable to post bonds of up to $1,000 cash. This reform is believed to make the criminal justice system more fair and cost-effective. According to the sheriff’s office, 250 to 300 people are jailed daily in the state because they can’t pay $1,000 or less. “This is a population who are disproportionately poor and also have some other underlying condition whether it’s a drug addiction or mental illness,” Foxx stated. She said prosecutors will ask that a judge require the defendants to participate in drug or mental health treatment. The challenge of providing services to and rehabilitating those with mental illness who are involved in the criminal justice system is not unique to Illinois. Across the nation, approximately one in five, or 43.4 million adults, experience a diagnosable psychiatric condition such as Major Depressive Disorder and Generalized Anxiety Disorder in a 12-month period. Another 20.2 million adults have a substance use disorder, according to the 2014 Substance Abuse and Mental Health Services Administration National Survey of Drug Use and Health. Rates are notably higher among individuals who are poor, uninsured and involved in the criminal justice system. Nationwide, an estimated 64.2 percent of jail inmates have a mental health problem. According to jail data, one-third of the 9,000 inmates in the Cook County Jail have a diagnosed mental illness. Cook County Jail is considered one of, if not the largest provider of mental health services in the country. It is a grave disservice to hold individuals with psychiatric and substance abuse disorders in jail for petty crimes. The unpredictable, threatening and dangerous environment combined with social isolation has the potential to exacerbate symptoms of mental illness. However, for many, this may be the only time that they receive much needed mental health treatment. While requesting that judges mandate substance abuse or mental health treatment is a step in the right direction, several other steps must be taken to effectively treat mental illness among criminal offenders. A comprehensive system of screening, referral with a warm hand off to wrap around services needs to be developed to treat substance abuse and mental illness and reduce recidivism. Under the Affordable Care Act Medicaid expansion program, almost a half million (486,000) low-income residents in Illinois received insurance coverage in the first three years after expansion was implemented. Nationally, approximately 30 percent of those who got insurance coverage through Medicaid expansion have a mental or substance use disorder, according to the federal Substance Abuse and Mental Health Services Administration. Medicaid expansion has undoubtedly increased access to mental health and substance use services to poor and low-income individuals. While the ACA expanded coverage for mental health treatment, there are insufficient numbers of mental health providers in the community based settings to deliver the services. From FY2009–2012, Illinois cut $113 million in funding for mental health services, the fourth largest cuts nationwide. In that time, the state closed two inpatient facilities and six mental health clinics in Chicago. Illinois’ record breaking 20 month budget impasse has caused many social service agencies to scale back or close entirely. Under the Trump administration, increases in incarceration rates seem imminent. The President has ties to several private prison groups and Attorney General Sessions recently issued a memo that rescinded an Obama administration order to phase out the use of private prison contracts in the federal bureau of prisons. Former Deputy Attorney General Yates issued a memo phasing out contracts with private prison companies after the department’s inspector general found more safety and security issues. Trump has vowed to restore “law and order” and proposed reinstituting the illegal and discriminatory “stop and frisk” policies. Chronic discrimination and aggressive encounters with the police can result in trauma and fear and have long-lasting damaging effects on mental health and functioning. 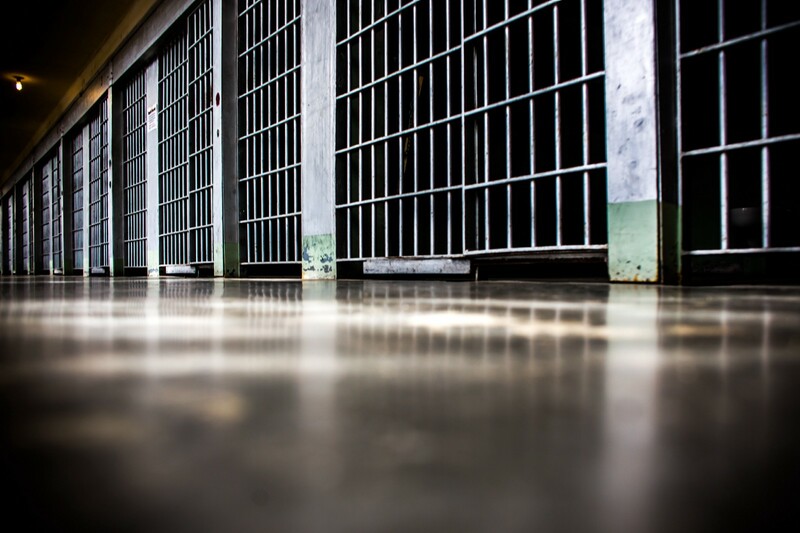 The current criminal justice system not only harms those with existing mental health problems, but discriminatory policies carried out by law enforcement may be creating new mental health problems. Indeed, engaging patients in treatment can be challenging. An estimated 40 percent of those with any mental illness and 80 percent of those with substance use disorders do not receive treatment. Limited availability of services, cost, time and lack of information are key barriers to treatment. Among those who do access services, many do not receive an adequate dose of medication or evidence based treatment due to under prescribing, early termination or inability to pay. These factors can dramatically reduce the effectiveness of the treatment. In order to reduce the myriad negative outcomes of untreated mental illness and substance abuse such as crime, homelessness and productivity loss, it is imperative that policies support prevention and treatment. Community based mental health and substance abuse treatment must become a funding priority at the local and national level. Adequate funding is necessary to effectively train qualified mental health providers, to create sustainable models for service delivery and to pay for the services received. Mental illness and substance abuse must be treated before vulnerable individuals ever make contact with the criminal justice system. The criminal justice system must not be complicit in exacerbating mental illness or creating new problems. Rather, it should function as a pipeline to rehabilitation.